Cocoa Touch: Tthe bailout:plan:As credit markets thaw, rates should also begin to fall oncredit default swaps. 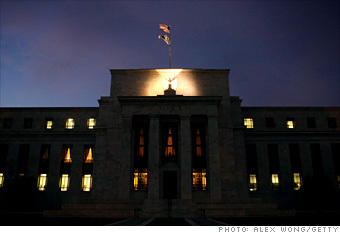 Tthe bailout:plan:As credit markets thaw, rates should also begin to fall oncredit default swaps. 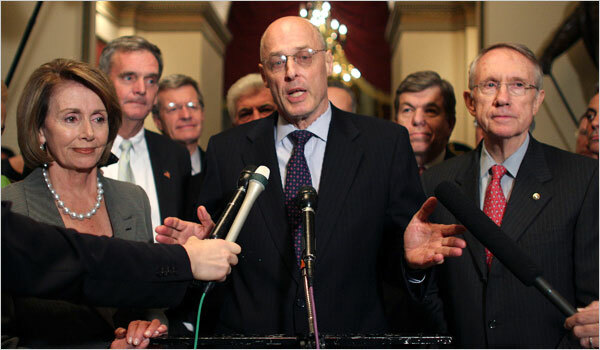 Title Tthe bailout:plan:As credit markets thaw, rates should also begin to fall oncredit default swaps. published to cocoa-touch. Report sent to cocoa-touch. about Tthe bailout:plan:As credit markets thaw, rates should also begin to fall oncredit default swaps. So, how exactly will we know if the credit clog is breaking up? Some of the banking industry's first responses won't be immediately visible to most Americans, but they are critical to the proper functioning of the U.S. financial system. For instance, a drop in a crucial short-term lending rate called the London Interbank Offered Rate, or Libor, would be a telltale sign that banks are less anxious about extending credit to each other — and the rest of us. Libor is the rate many banks pay for the short-term loans essential to their daily operations. It's also the base rate for an enormous amount of commercial lending and for many adjustable-rate mortgages. Another sign of growing confidence in financial markets would be lower rates on "commercial paper," a crucial short-term borrowing mechanism that many companies rely on for financing day-to-day operations, including payrolls and other expenses. Economists said a properly designed bailout should also cause interest rates on Treasury securities to rise relatively quickly. If that happens, it would signal that investors — who have been flocking to Treasurys because of their perceived safety relative to other investments — are more willing to bet on riskier types of debt and securities. "The recovery process is going to come in stages, not in one fell swoop," said Terry Connelly, dean of Golden Gate University's Ageno School of Business. "The credit markets had a stroke. We are in intensive care now. We will have to learn how to walk and talk again." As credit markets thaw, rates should also begin to fall on a type of corporate-debt insurance known as credit default swaps. While not a household word, these derivatives figured prominently in the country's financial crisis. 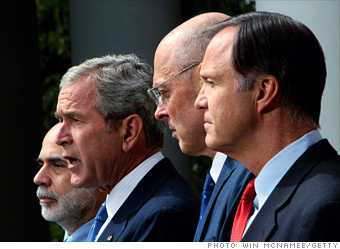 Prices for credit default swaps soared in the aftermath of the Lehman Brothers' bankruptcy and pushed American International Group Inc., a major insurer of this kind of corporate debt, into the hands of the government following an $85 billion emergency loan funded by taxpayers. Assuming these more obscure corners of the financial markets are on solid footing again, consumers should eventually begin to have an easier time taking out loans for homes, cars, furniture and college. Over time, a healthier financial system should help the value of the dollar rise versus other currencies, reflecting renewed confidence in the U.S. economy and blunting inflationary pressures that have made Americans feel less wealthy. But it is only after a wide range of industries feel confident that the economic and financial conditions have fully recovered that they will start to ramp up hiring, perhaps by 2010. House prices should stop falling in the summer of 2009 and may start rising in 2010, economists said. Loans - particularly those made from one bank to another - would be more available and less expensive in a matter of days, if not weeks. And as the government gobbles the banks' toxic assets, the industry would gain the confidence and strength needed to make it easier and cheaper for families to borrow for homes, cars and college - and for businesses to secure ample debt to pay for plants, equipment and workers. Still, rising unemployment, high energy prices and falling real estate values will not disappear overnight. "At first, there will be some sort of sigh of relief, which I'm afraid would be misplaced, because when you get through the shorter-term terror, you're left with an economic landscape that will be very fragile," said Michael Farr, president of Farr, Miller & Washington, which manages investment portfolios for people and businesses. Were the clogged credit markets of the past year - and more crucially, the past few weeks - left to fester without a massive government intervention, the United States faced a financial calamity that could have plunged the economy into a deep recession, putting the livelihoods and investments of millions of ordinary Americans at risk, President Bush and Federal Reserve Chairman Ben Bernanke warned. "Bernanke told us that our American economy's arteries, our financial system, is clogged, and if we don't act, the patient will surely suffer a heart attack maybe next week, maybe in six months, but it will happen," said Sen. Chuck Schumer, D-N.Y., chairman of Congress' Joint Economic Committee. 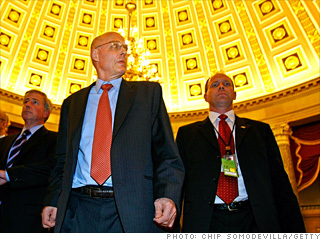 Once the liquidity floodgates have been opened - the government will have as much as $700 billion at its disposal to buy banks' bad mortgages and other rotten assets - the benefits of the bailout proposed by Treasury Secretary Henry Paulson and modified by Congress are expected to trickle down through the rest of the economy. 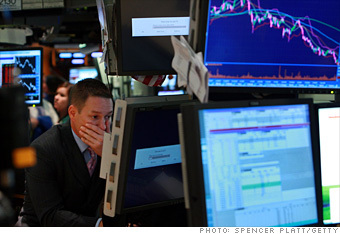 But Americans should be braced to feel economic pain well into next year. More people will lose their jobs, foreclosures will go up, paychecks will be strained and home values - people's single biggest asset - will keep falling, experts predict. Even if the plan is successful, many predict the economy will probably shrink in the final quarter of this year and in the first quarter of next year, meeting the classic definition of a recession. The unemployment rate - now at a five-year high of 6.1 percent - is expected to hit 7 or 7.5 percent by late 2009. That would be the highest jobless rate since after the 1990-91 recession. So, how exactly will we know if the credit clog is breaking up? Some of the banking industry's first responses won't be immediately visible to most Americans, but they are critical to the proper functioning of the U.S. financial system. For instance, a drop in a crucial short-term lending rate called the London Interbank Offered Rate, or Libor, would be a telltale sign that banks are less anxious about extending credit to each other - and the rest of us. Libor is the rate many banks pay for the short-term loans essential to their daily operations. It's also the base rate for an enormous amount of commercial lending and for many adjustable-rate mortgages. Another sign of growing confidence in financial markets would be lower rates on "commercial paper," a crucial short-term borrowing mechanism that many companies rely on for financing day-to-day operations, including payrolls and other expenses. Economists said a properly designed bailout should also cause interest rates on Treasury securities to rise relatively quickly. If that happens, it would signal that investors - who have been flocking to Treasurys because of their perceived safety relative to other investments - are more willing to bet on riskier types of debt and securities. "The recovery process is going to come in stages, not in one fell swoop," said Terry Connelly, dean of Golden Gate University's Ageno School of Business. "The credit markets had a stroke. We are in intensive care now. We will have to learn how to walk and talk again." As credit markets thaw, rates should also begin to fall on a type of corporate-debt insurance known as credit default swaps. While not a household word, these derivatives figured prominently in the country's financial crisis. 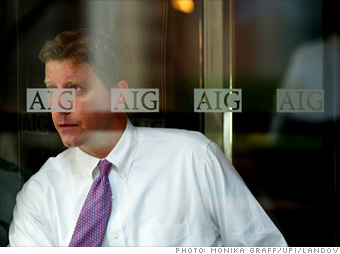 Prices for credit default swaps soared in the aftermath of the Lehman Brothers' bankruptcy and pushed American International Group Inc., a major insurer of this kind of corporate debt, into the hands of the government following an $85 billion emergency loan funded by taxpayers. Assuming these more obscure corners of the financial markets are on solid footing again, consumers should eventually begin to have an easier time taking out loans for homes, cars, furniture and college. Over time, a healthier financial system should help the value of the dollar rise versus other currencies, reflecting renewed confidence in the U.S. economy and blunting inflationary pressures that have made Americans feel less wealthy. But it is only after a wide range of industries feel confident that the economic and financial conditions have fully recovered that they will start to ramp up hiring, perhaps by 2010. House prices should stop falling in the summer of 2009 and may start rising in 2010, economists said. 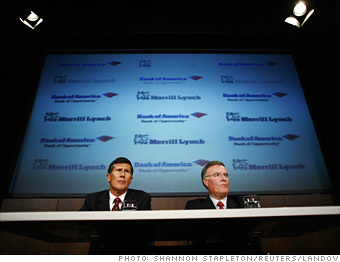 In the short term, there are several economic reports to watch for clues about whether credit conditions are improving: • The Federal Reserve's quarterly senior loan officers' survey, which tracks banks' appetite to lend; • The Fed's weekly report on emergency loans provided to banks and investment firms; • Freddie Mac's weekly report on mortgage rates; • The Mortgage Bankers Association's quarterly survey of home foreclosures and delinquencies. The heart of the bailout plan gives the government authority to relieve financial institutions of the distressed mortgages and other bad assets on their books. Getting dodgy assets off the books of hobbled banks will make it easier for them to attract fresh capital and boost lending. As Lehman, AIG and other major financial companies racked up huge losses and saw more coming, credit problems spread globally, firms hoarded cash and they all clamped down on lending. That crimped consumer and business spending, and dragged down the economy - a vicious cycle Washington lawmakers hope to break with this historic bailout. "It's just a huge negative psychology that will be hard to turn around," said William Dunkelberg, chief economist for the National Federation of Independent Business and an economics professor at Temple University. Adds Sean Snaith, economics professor at the University of Central Florida: "If someone slights you today, it is going to be hard to immediately e for that confidence to be restored."